The Kiwis will play a Wayne Bennett coached Great Britain side in a triple-header at Eden Park in November. One of the biggest days of rugby league New Zealand has seen will take place at Eden Park later this year. An announcement was made at Eden Park on Tuesday afternoon of a mouth-watering line-up of tests which sees the Kiwis play Great Britain, the Kangaroos take on Tonga and Samoa play Fiji on Saturday, November 2. The Kiwis will also host Tonga at Mt Smart in Auckland on Saturday, June 22, with the New Zealand women's team also playing as part of a double-header that day. 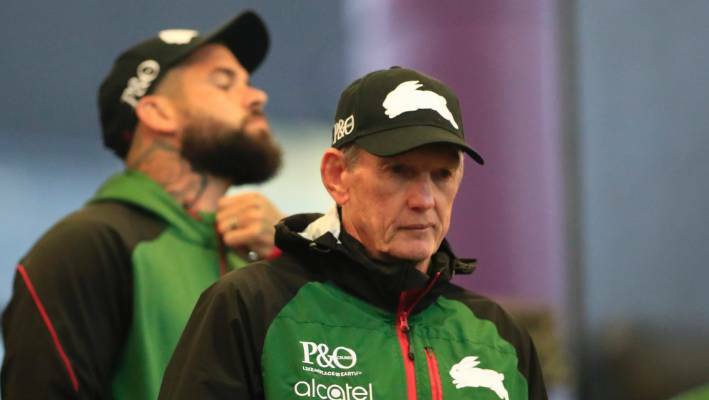 Wayne Bennett will coach Great Britain in two tests against the Kiwis, with the second encounter in Christchurch on 9 November. It will be the first time the Lions will have played since the home series against New Zealand in 2007 and their first appearance in the southern hemisphere since 2006. Wayne Bennett will coach Great Britain on their four-test tour of the southern hemisphere. Great Britain will also play Papua New Guinea on the tour plus a test against Tonga for the first time - this test will be in Hamilton on Saturday 26 October. Talks for the Lions to also play the Kangaroos on the tour broke down. "It's fantastic news. It's a shame we're not going to Australia but it is what it is," RFL's rugby director Kevin Sinfield said. "It's taken a lot of work by a lot of people in pulling this together. "There is a real appetite for this team to come back, there's some very famous players who have done that shirt justice." The tests against the Kumuls, in PNG, and Tonga, will precede the two tests against the Kiwis. There were plans for the Lions to also play Fiji and Samoa on the tour, but these were dropped to reduce costs. The Kiwis will play a test in Wollongong against Australia in October, before returning to New Zealand to take on the Lions. The Rugby Football League in the UK confirmed Bennett, who coaches England and the Rabbitohs, would also coach the Lions. "It's an honour to be involved in the revival of the Great Britain team as head coach," Bennett said. "I've coached against them in the past with Australia, and wherever you're from in the world of Rugby League, that Great Britain jersey is a famous one – and I'm sure the current generation of players will be excited by the prospect of wearing it and representing their country in New Zealand and Papua New Guinea. "It's an exciting prospect for international rugby league, and good to have that Great Britain tradition back." Ralph Rimmer, the chief executive of the Rugby Football League, said: "The return of the famous Great Britain jersey is something people have been talking about for a long time – so this is an exciting announcement for us. "It's 12 years since Great Britain last played a test, and 13 since they last travelled to the southern hemisphere, for the Tri-Nations series of 2006. "While the development of the England Performance Unit has been a priority and a success for the RFL, across men's, women's and wheelchair rugby league – and will continue to be as we build towards the 2021 Rugby League World Cup – there is such history and tradition around that Great Britain shirt. "It's great for the game to have it back, as part of the schedule drawn up by the RLIF also including the Oceania Cup. We'll be committed to respecting and honouring that tradition as we build up to the tour through 2019."